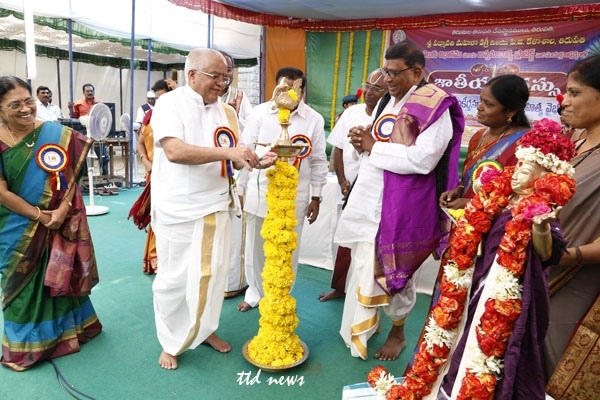 Tirupati, 10 September 2014: TTD EO Sri MG Gopal on Wednesday advocated that the temple management of Tirumala Tirupati Devasthanams(TTDs) will speed up the recording of thousands of keertans penned by Saint Poet Sri Tallapaka Annamacharya through SV Recording Project. 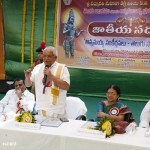 Addressing the inaugural session of the Ännamaiah Sankeertanalu-Telugu Sahitya Vaibhavam”in SPW Degree College in Tirupati organised jointly by the college and Annamacharya Project, he said, since the establishment of Annamacharya Project in 1978, TTD has so far recorded around 1600 keertans. 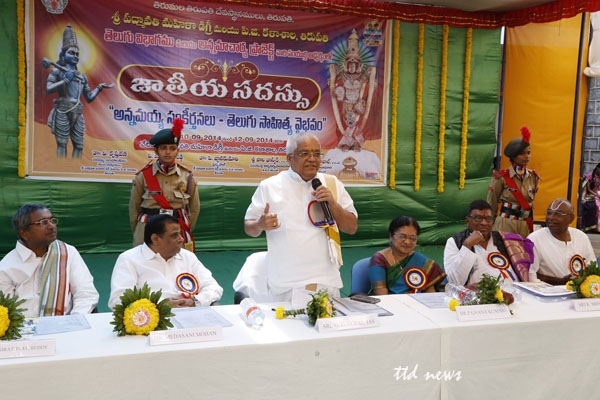 “But as we have now separated SV Recording project into two divisions, we will speedup the activity of recording the impeccable songs penned by the great saint poet”, he added. 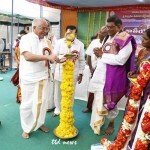 Later founder Director of Annamacharya Project Sri K Srinivasulu said the uniqueness of the songs of Annamacharya has three characteristics of language, essence and emotion. These songs were brought to the light with the efforts of late Sri Sadhu Subrahmanya Shastry, Sri Veturi Prabhakara Shastry, Sri Rallapalli Ananthakrishna Sharma and Sri Gaurupeddi Ramasubba Sharma. 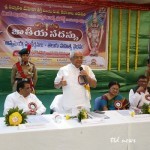 Annamaiah songs have a separate jargon of its own and he immortalised the richness of Telugu with his slang”,he added. 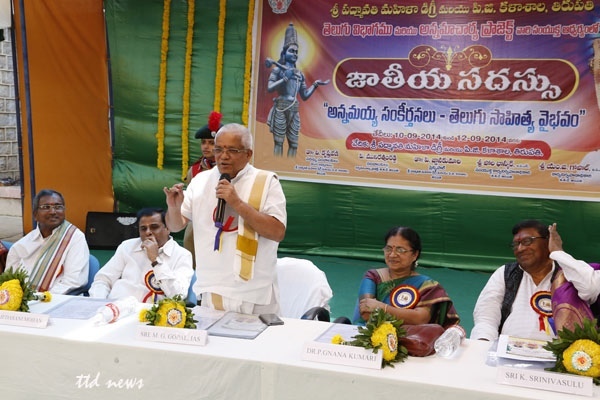 Later Sri Medasani Mohan, Sri Vijaya Raghavacharyulu and other scholars also remembered the great works of Annamacharya and the service he has done to enrich the language of Telugu through his rare keertans. Sp gr Dy EO Sri Munirathnam Reddy, SPWD Principal Smt Gnanakumari, Dy EO all projects Smt Sharada and others were also present.